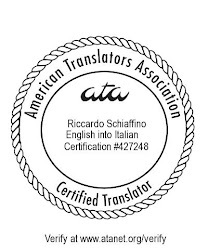 About Translation: Tip for translators from English: i.e./e.g. There is a good reason why many style guides recommend against using "i.e." (id est = "that is") and "e.g." (exempli gratia = "for example"): too many native speakers do not know how to distinguish between the two, and whereas they would not say "that is" when they mean "for example", they often do use "i.e." instead of "e.g.". So, as translators, whenever we see one of these abbreviations, we should make sure from the context what the author actually meant: these abbreviations are too often used incorrectly. True! Thanks for the post! Um, ok....care to mention then what IS the correct use of each one? I agree. Thanks for sharing this post.